Hello everyone! 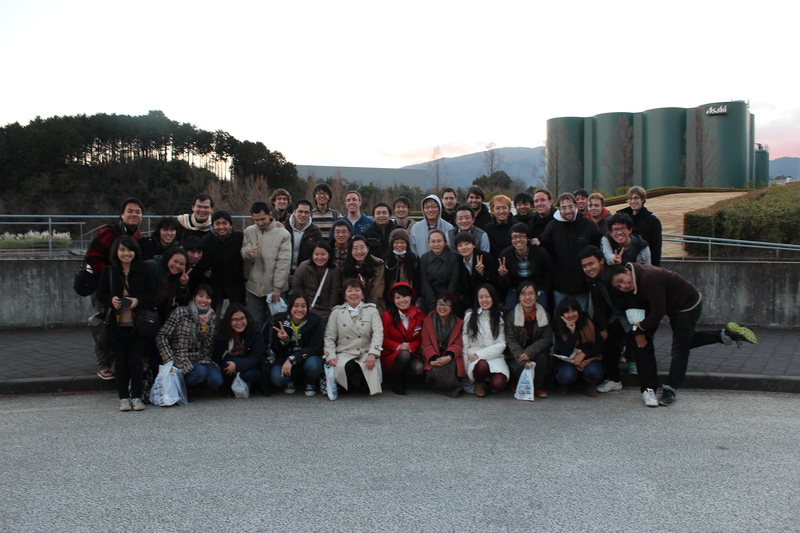 As a report needed for SJCI, now I will write about the last SJCI study trip to Suzuhiro Kamaboko Factory. Kamaboko 😀 Red and white color is for good luck! 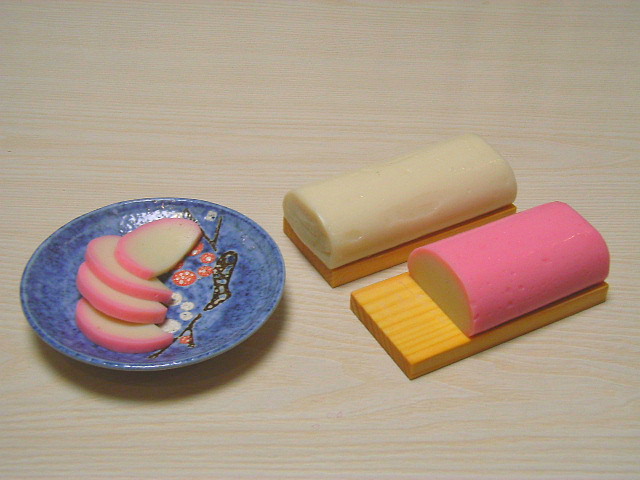 Around Japan there are about 900 Kamaboko maker each has its distinctive characteristic. Suzuhiro Kamaboko Factory is one of the biggest of all. Located at Odawara, approximately 1,5-2 hours drive by bus, this kamaboko factory has already owned its big name. Has been a family business since 1865, this industries has expanded its vision of not only making Kamaboko, but also to introduce Kamaboko throughout Japan and world. 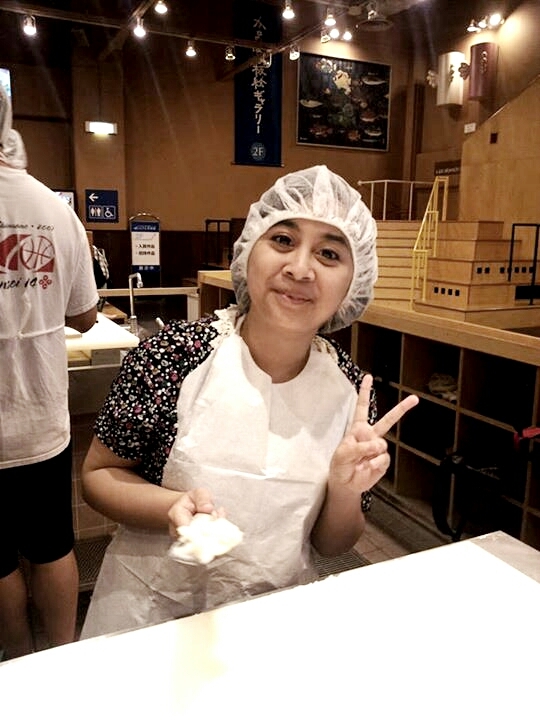 Place where it is located is not only a factory but also several minutes drive from the factory there are special shop to sell kamaboko, kamaboko museum, and a workshop where visitors can individually experience kamaboko making and eating (of course ^^). 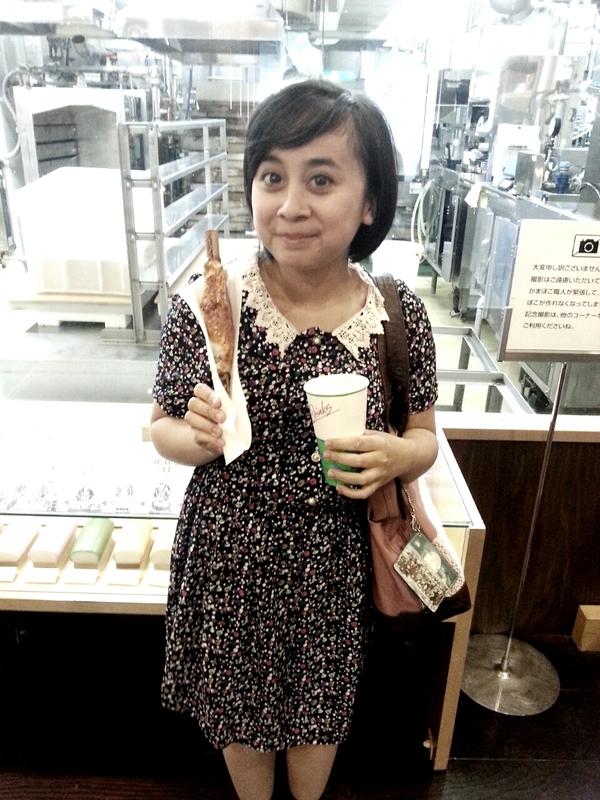 At that day, first we visited the kamaboko factory. 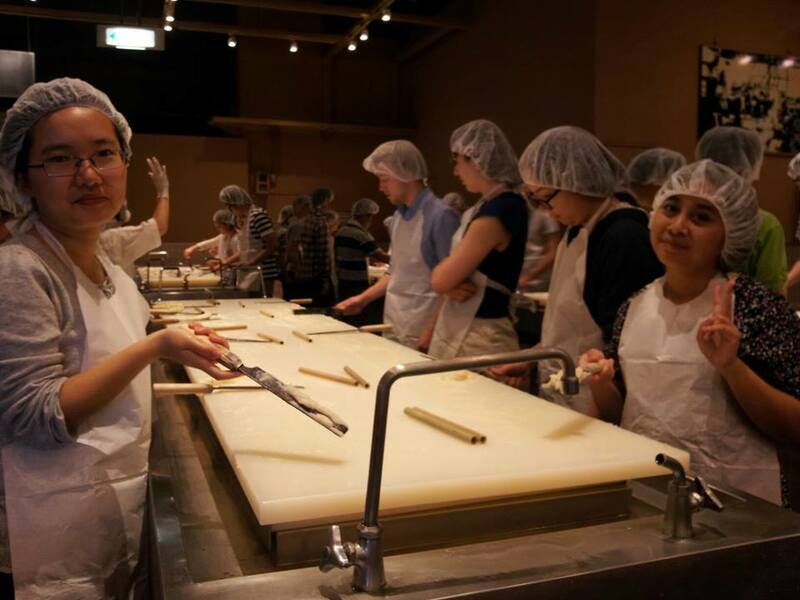 Guided by its own CEO, we were able to observe almost every step of kamaboko making. At first, white fish meat is filleted to remove bones and skin. 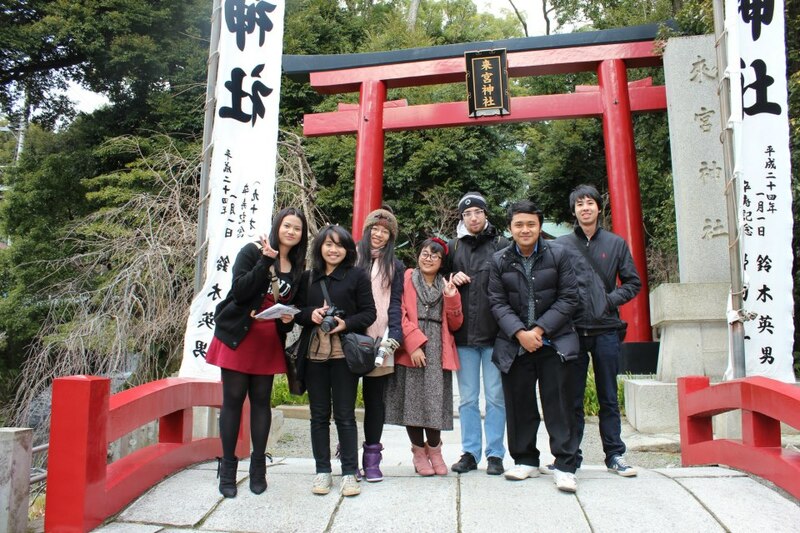 Furthermore, to remove fat and blood filleted fish is washed with water from Hakone mountain. After that fish pound was mixed with salt, sugar, egg whites, fish sauce, and a bit of Japanese sake. After it is seasoned well, the kamaboko was shaped and further processed such as grilled, steamed, or deepfried. 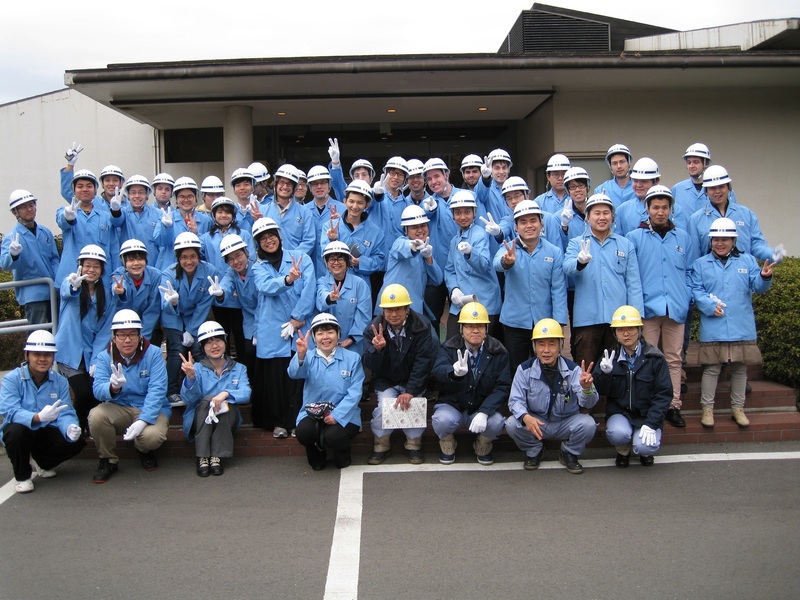 Beside seeing the kamaboko making facilities we also see another facilities such as its quality control lab (where they conduct organoleptic test for each product every day and also shelf life test), packaging material warehouse , employee’s washroom and locker. Hygiene was very important for factories that deal with food product, especially this company deals with such a perishable food source, fishery product. The production facility is surrounded by a hallway, this is to prevent dust and other contaminant to get inside the production facilities. Air that is circulating inside the production facilities is also filtered first. All year round, temperature inside the production facilities is kept in a same temperature to ensure a good kamaboko is being made throughout the year. 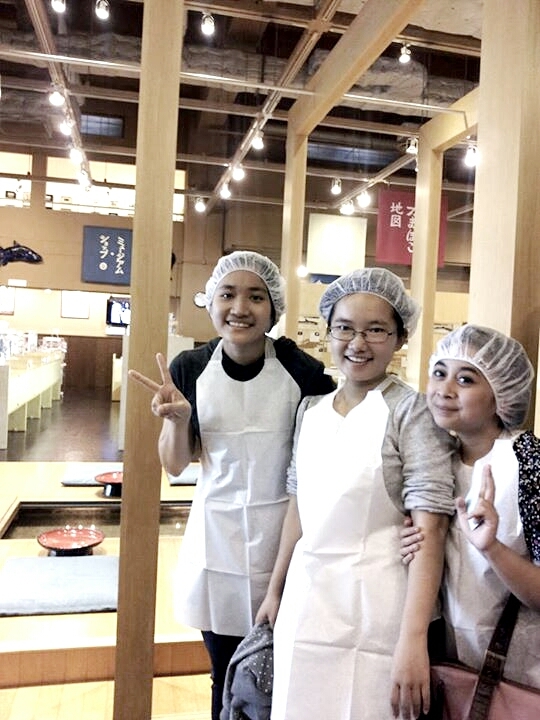 After finishing the factory tour we were taken to the kamaboko museum where we can experience a step of kamaboko making, the shaping of kamaboko. So basically, we were given a fish paste and we are taught to shape it like an original kamaboko shape. When you see the original kamaboko shape actually it is quite simple, like a long igloo. 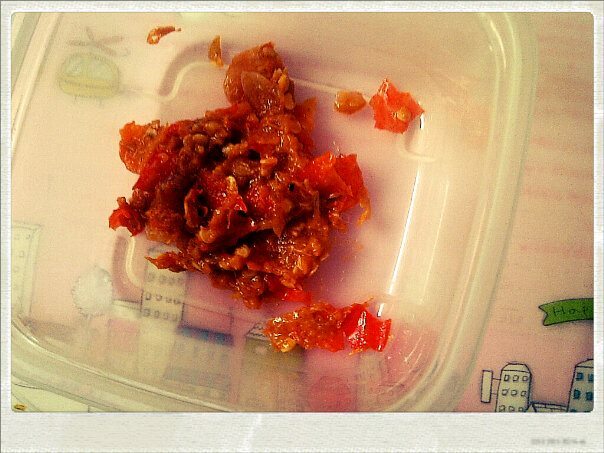 But believe me, it is really hard to deal with this fish paste, it is all sticky and difficult to be shaped. To shape a kamaboko we only need one knife (which we can only use one side) and the board where kamaboko will be put. Fish meat is given in a ball shaped and we have to make it flat, fold it again, and slam it for several times. This procedure is done to give kamaboko its chewy taste. After that, here comes the more difficult step to shape the kamaboko with the board so it will be like kamaboko (like a long igloo as I have mentioned before). 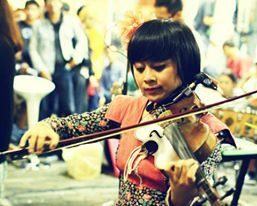 Believe me it is really difficult, and it is said that years experience is needed for someone to be skillful on doing this. At last we had discussion session, at that time it is explained that according to the statistics kamaboko demand is decreasing among Japanese, yes, this delicious food is not that popular again among Japanese. But in contrast, the demand of this food is increasing overseas. Even this company has open several branches like in China or Thailand. It is a good thing that this food has expanded its market overseas, but I think Japanese people (especially young adult) interest about this particular food has to be continuously risen up again! I also think that this case is not only happening on Japan, many kind of Indonesian traditional food is not that popular anymore among Indonesian young adults because it is considered as old-fashioned and not as exclusive as many imported modern food product. 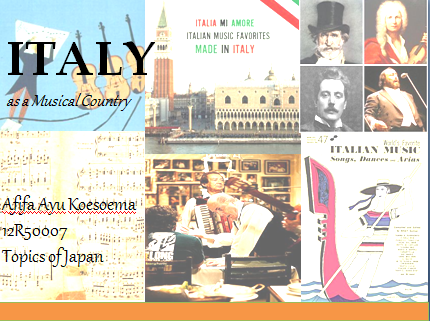 In this case many people from all over the world begin to like it and consume it. 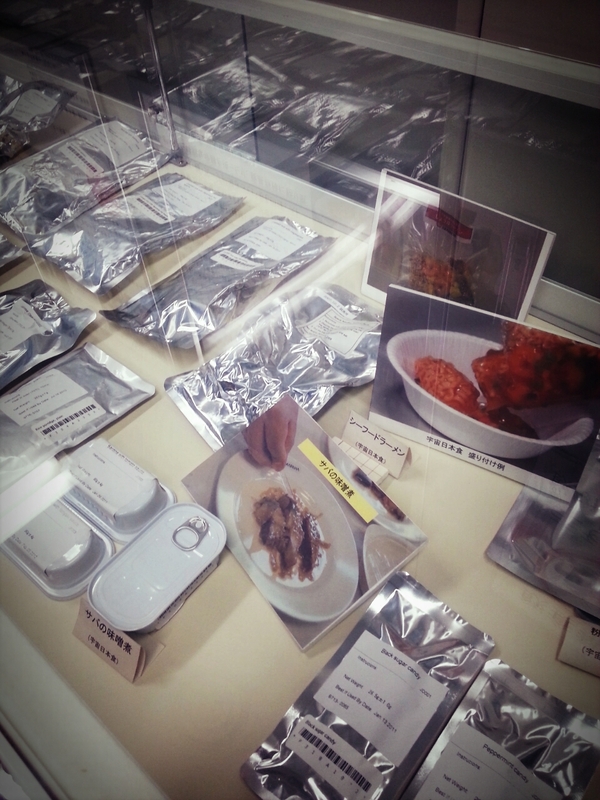 Even some research is being conducted to particular traditional food that is fermented for example Indonesian tempe, by overseas researcher, because of its good nutrition value and another health value. 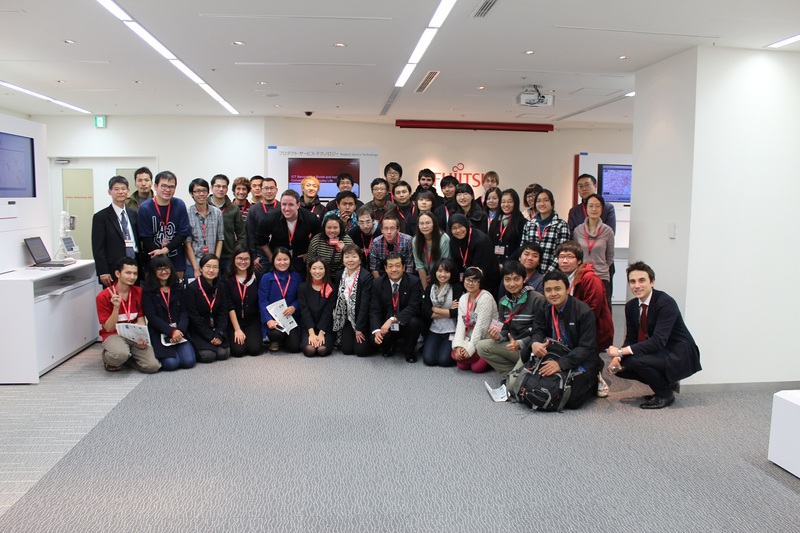 SJCI : a Visit to Tsukuba Space Center, JAXA! 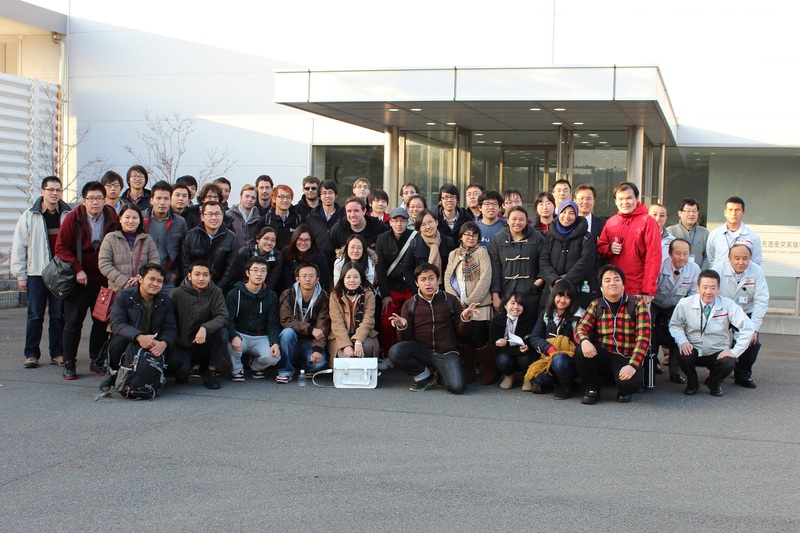 At that day, we arrived at Tsukuba Space Center at about 2 PM, after going through 1,5 hours trip by bus. 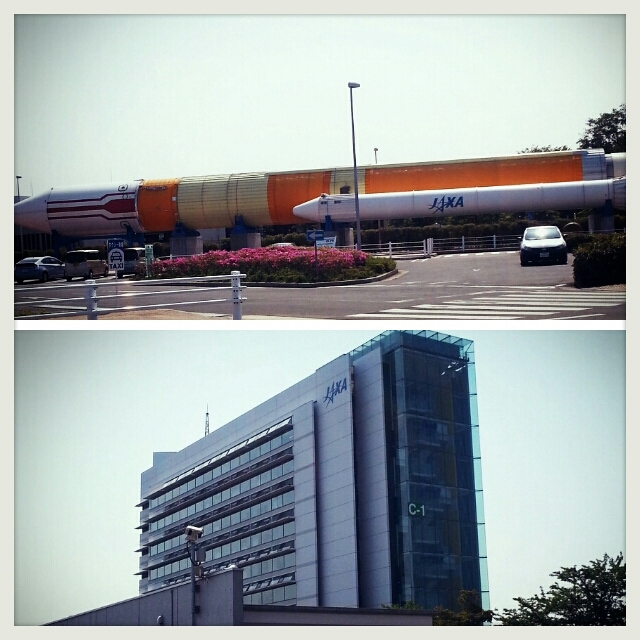 In front of Tsukuba Space Center there was a huge rocket model! So cool! 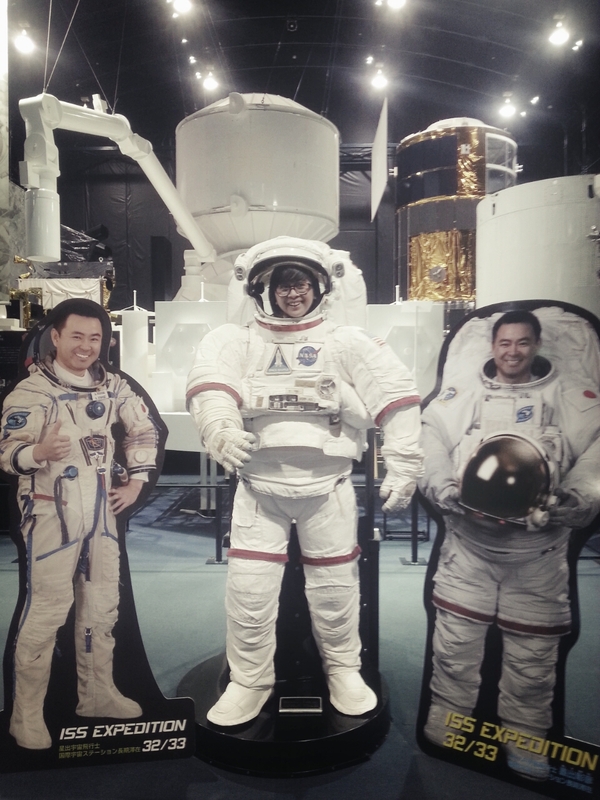 😀 JAXA Tsukuba Space Center is open to public twice a year, and we were one of the lucky one to visit it this year! 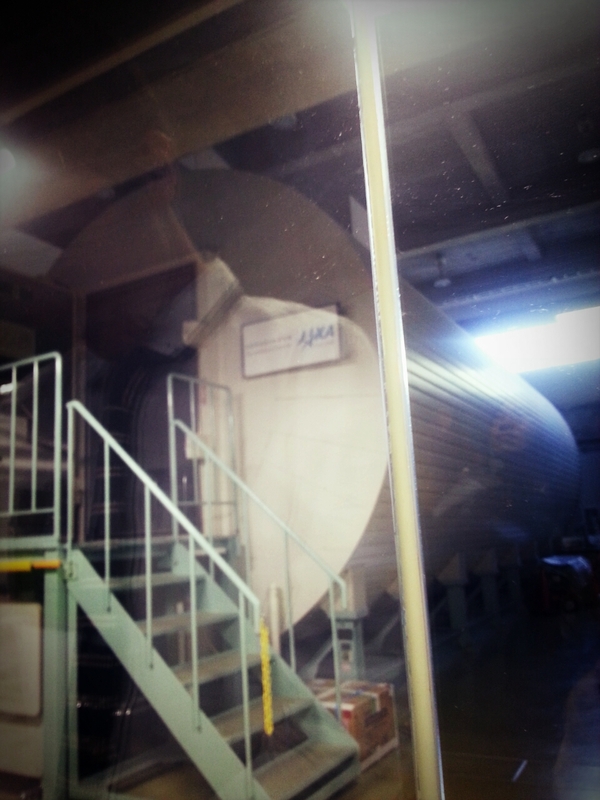 After that, we were given explanation about this space center, mainly about the environmental test technology center. 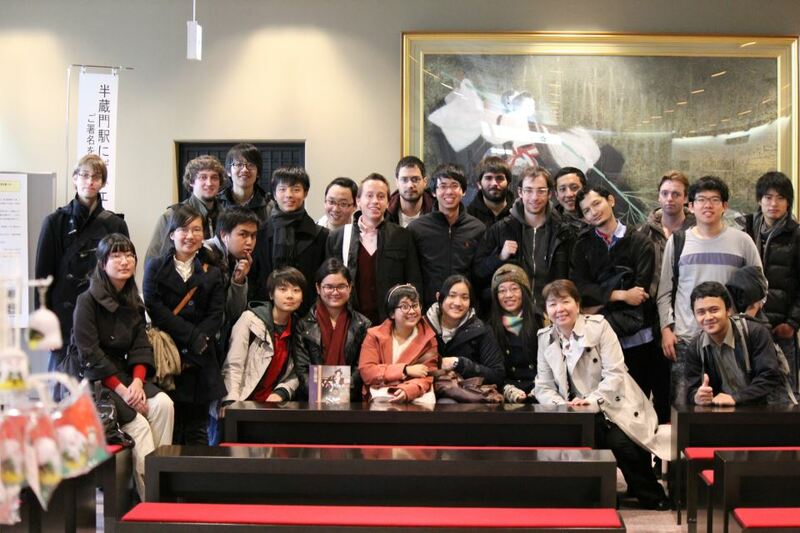 At first we were given the understanding about how important spacecrafts such as satellites for our life. For daily usage, we always use GPS from satellite to help us navigate. For expertise, satellite can help them to record many data such as the temperature fluctuation in the earth to predicts the global warming pattern. We have to admit that nowadays, we will not have such an convenient life without spacecrafts. We were given explanation about the importance of creating spacecrafts that can withstand the extreme condition so that each of the components will functions optimally. During the launching of satellite using rockets, it has to withstand the extreme condition of rocket machine vibration, acoustic pressure, and acceleration. During separation of the satellite with the rocket it will also create a great shock, so it has to be tested as well. 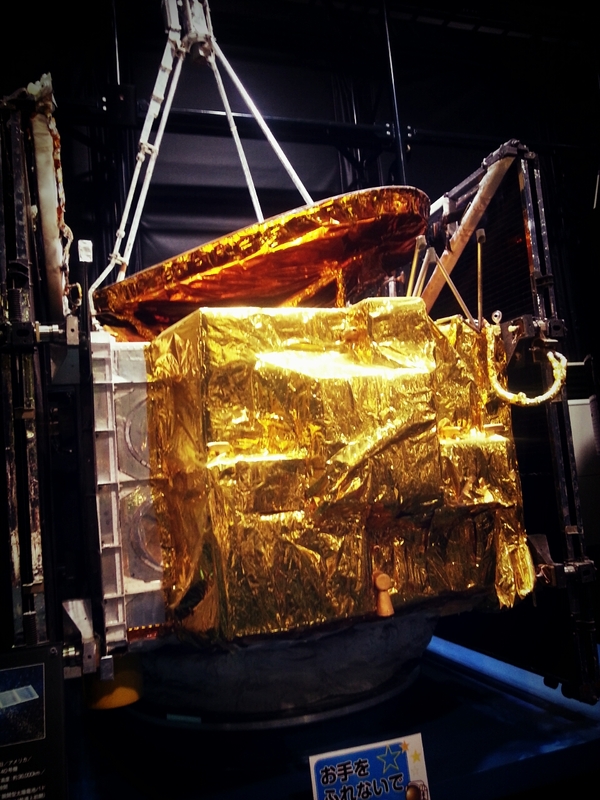 When it’s operating at the space, it has to withstand thermal vacuum (due to the situation of non-atmosphere it will have no convection in space so the satellite will experience such a huge temperature gap up to 300 Celcius). At the space there would also be radiowave and magnetic wave that can cause interference to the satellite. After that, we were given a tour of astronaut course. 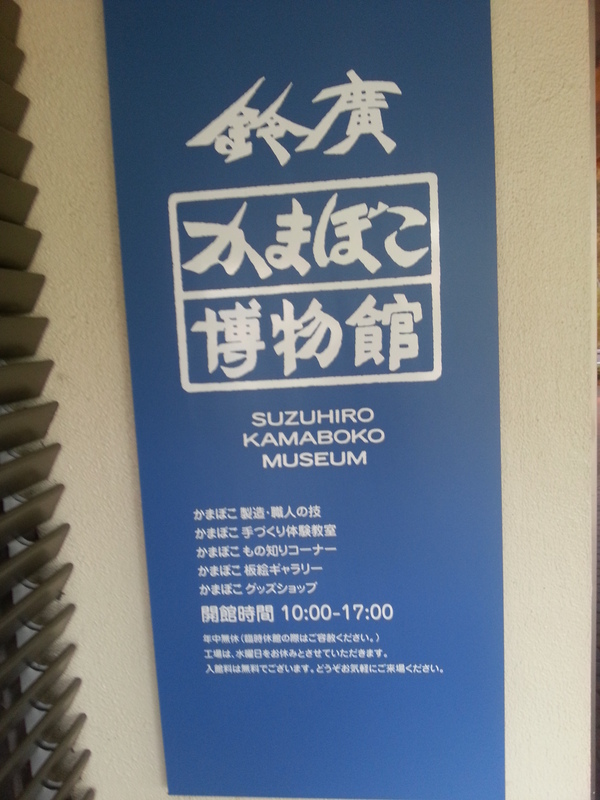 Actually i was expecting to see the real facilities but again it was only like a museum. 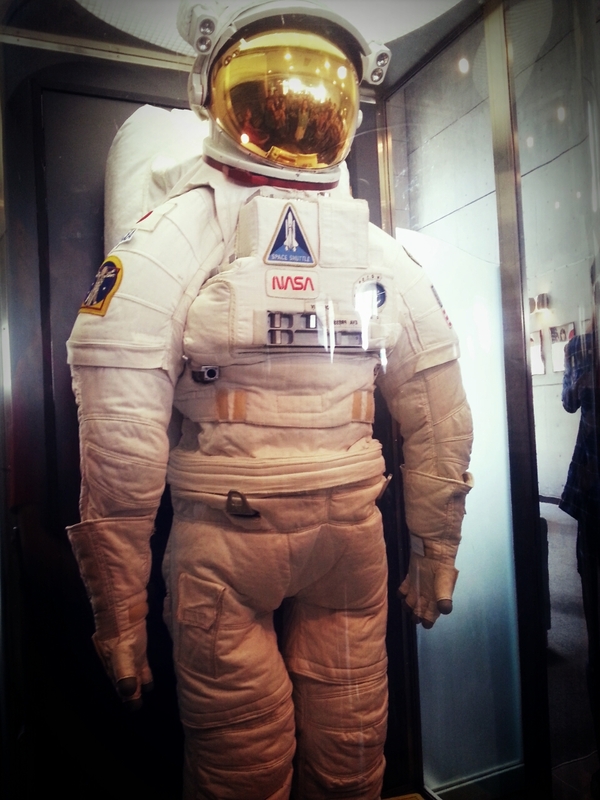 First we saw an astronaut suit. I did not remember exactly how many layers are there in astronaut suit, but it was so many, mainly composed of insulation layer and some life support. Inside the helmet there was a drinking bottle, and i also remembered that astronaut is using diapers when they are wearing those suit! I also remember that because the helmet is too big astronaut cannot read directly so they have a mirror in their arm part to help them reading. So interesting! I can never imagine to be an astronaut! 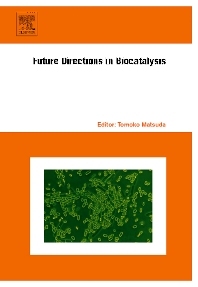 Second we saw facilities of biomedical studies, the scientist were mainly working to reduce the space-sickness that astronaut always experience in their first days in space. They use tilting and rotating bed and chair to simulate it. 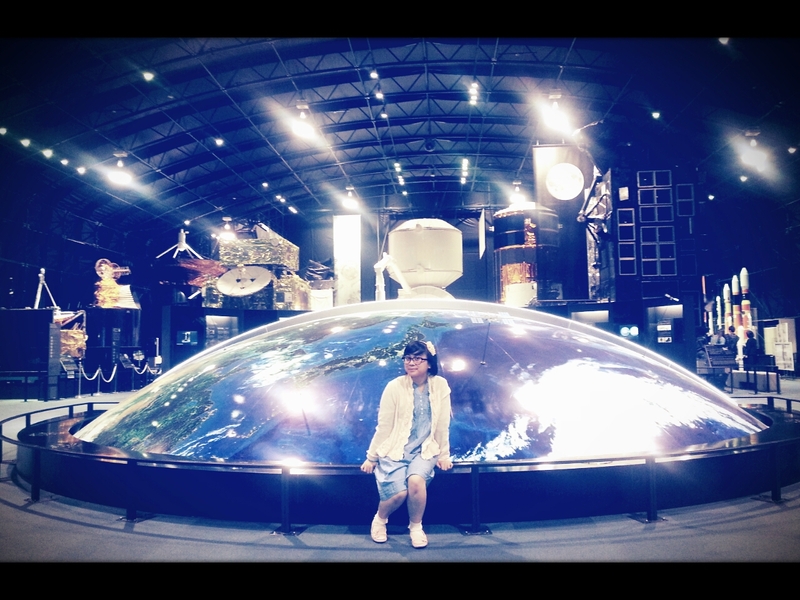 After the astronaut course tour, we were directed to the Space Dome, some kind of an exhibition hall. Here we learned that satellites are always covered with a golden colored material to help it withstand the harsh temperature changes. 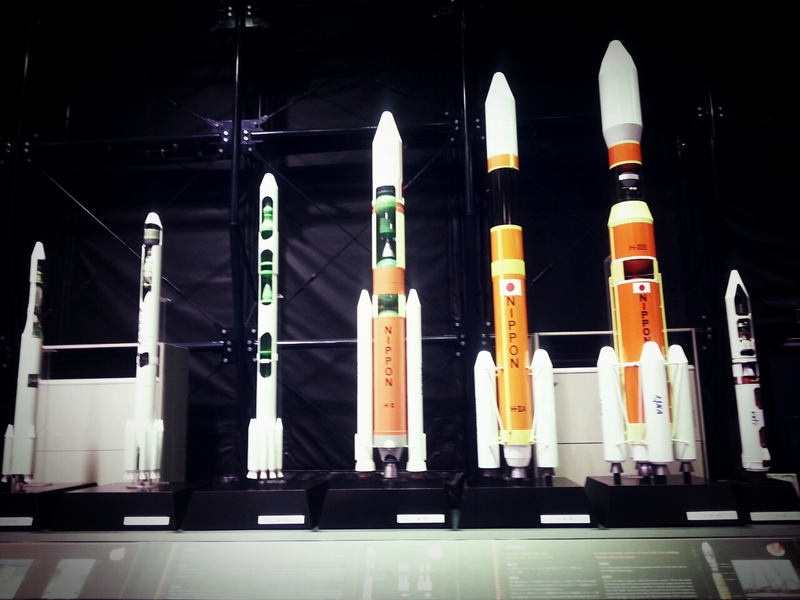 We also saw some model of Japan’s rockets and satellites from times to times, But the most fun part is taking picture of course! Rocket Engine! to the Outer Space! 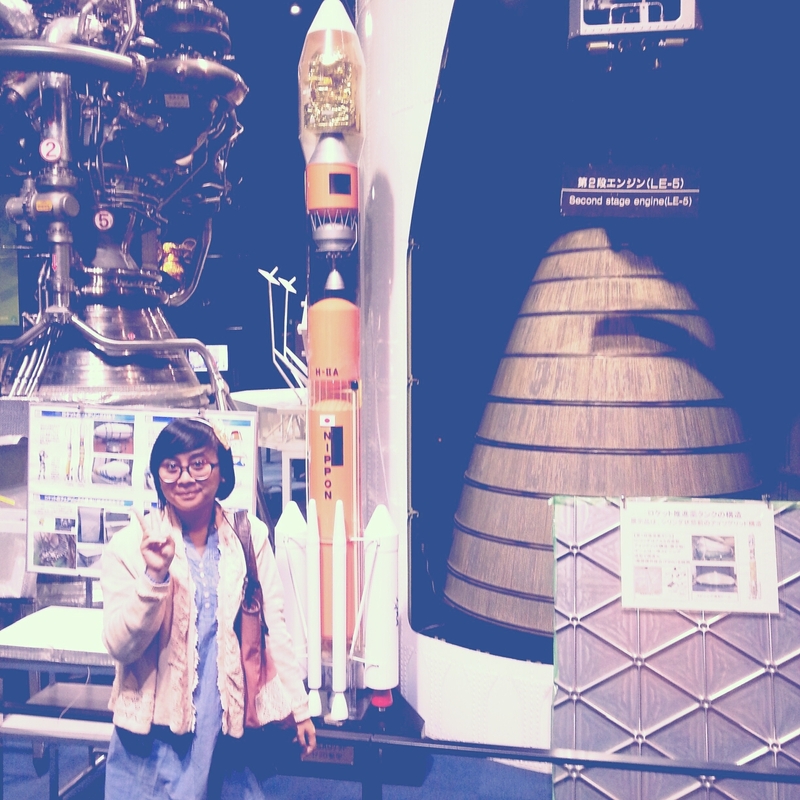 I really wish i could have another opportunity maybe later on to visit JAXA again and discussed more about their other mission to send small animals to the space and examine their physiological condition, etc. like sending small fish to space, let it hatch, and bring back the baby fish to the earth.